A while back, we provided some piñatas for the Domestic event in Portland. 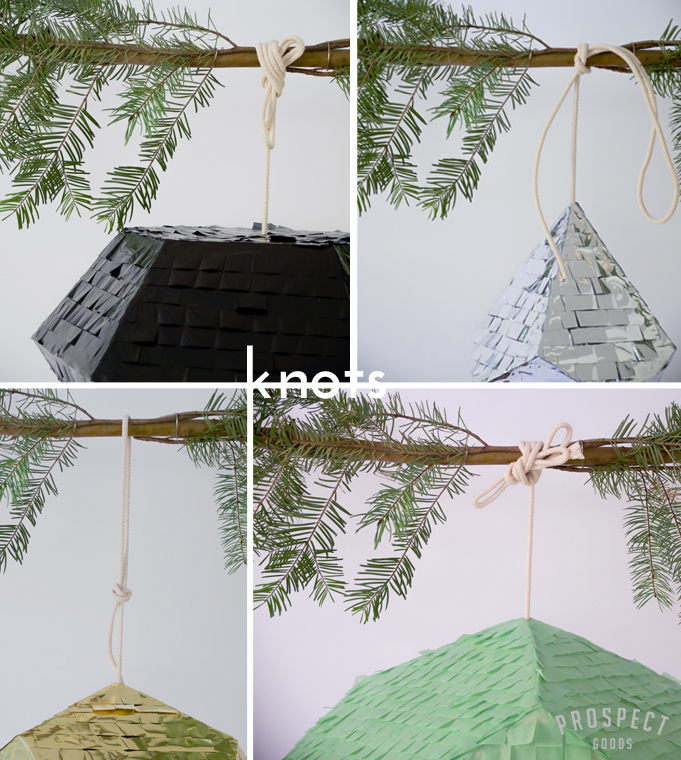 Jasmine of Made & State, who hosted the event, asked us what kind of knots we use to tie our piñatas. It was a funny interaction, especially since Portland is fond of its artisan knots, but she did bring up a good point. There really is no wrong or right way to tie a piñata knot, but we suggest that if you're using your piñatas as decor or for an event, the substantial knots look more intentional, especially with the larger piñatas. Even a basic slip knot looks good if you loop around one extra time. We like to mix it up. We don't claim to be knot pros though, and we found an awesome Scout's website that shows animated knot tying instructions. Check that out, or ask your dad.